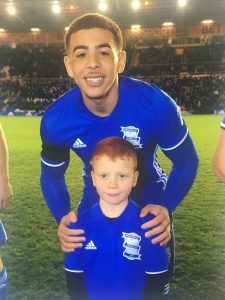 Home > Case Study > Our Events > Uncategorised > Nathaniel’s day as a Birmingham City Mascot! Nathaniel’s day as a Birmingham City Mascot! On Friday 3rd March 2017, ‘Kids Need Both Parents’ invited Nathaniel Antrim to be a mascot for Birmingham City Football Club, during their home match against Leeds. Parents Walt & Anna and older brother Marcus also came along for the day and enjoyed watching Nathaniel lap up the atmosphere of walking on to the pitch at St Andrews with over 20,000 applauding fans. KNBP received a nomination from Nathaniel’s Uncle, after the family received the fantastic news of Nathaniel now being in remission after a 3 and a half year battle with Leaukemia. As the family eagerly awaited Nathaniel’s entrance onto the pitch we learned that Nathaniel had previously hoped that he would be able to attend St Andrews, although due to him being admitted to hospital the day prior, he was unable to visit which left Nathaniel very disappointed, then again through a wish to the ‘Make a Wish Foundation’, however the charity very generously took the family to watch a match at FC Barcelona instead. On Nathaniel’s return to the box he proudly stated ‘That was even more amazing than Barcelona!’ which goes to show that it really is all about what a specific experience means to an individual. KNBP would like to wish all of the Antrim family a very happy and healthy future, it was an absolute pleasure to meet you all and be witness to such a special day. 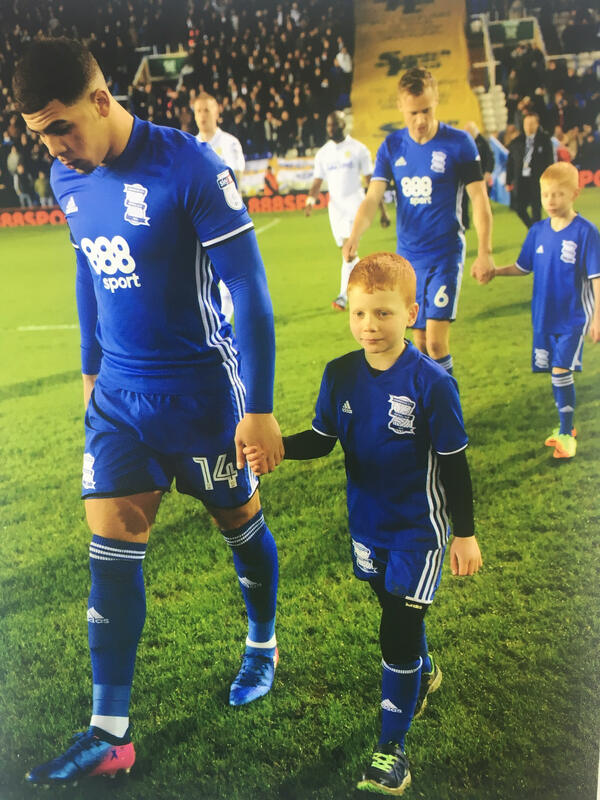 We have very limited mascot packages, however, we also offer a VIP day out in an executive box for a family who may be separated due to illness, a bereavement or family breakdown. If you would like to nominate an adult /child to have a similar experience please email sharon@knbp.co.uk and your reasons why.